The southern section of the Canal, from Biestebroeck Dock to the southwest border of the Brussels-Capital Region, is seeing numerous public and private initiatives aimed at boosting the presence of housing and business activity (including port-related businesses) and at improving public spaces. The most extensive project in this South Zone relates to Biestebroeck Dock. This urban project is one of six pilot sites for the implementation of the Canal Plan. As part of the dedicated Canal team, the Urban Development Corporation (SAU-MSI) is giving guidance to all project owners in this area, with a view to ensuring that their initiatives develop in a manner consistent with the guidelines of the overall urban plan. 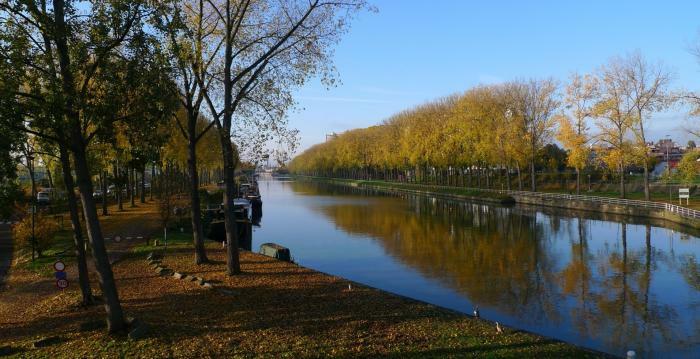 These guidelines are defined in a master plan and a draft Special Land Use Plan (PPAS) developed by the team of architects and urban planners BUUR-ARIES-IDEA Consult on behalf of the Municipality of Anderlecht. Some 47.5 hectares on the right and left banks of Biestebroeck Dock, 15 minutes from the Gare du Midi railway station (see the map). start of the first private project on Boulevard Industriel in June 2016 (Atenor Project: around 40,000 m², divided between an assisted living facility, a care home, integrated business services, housing and shops). 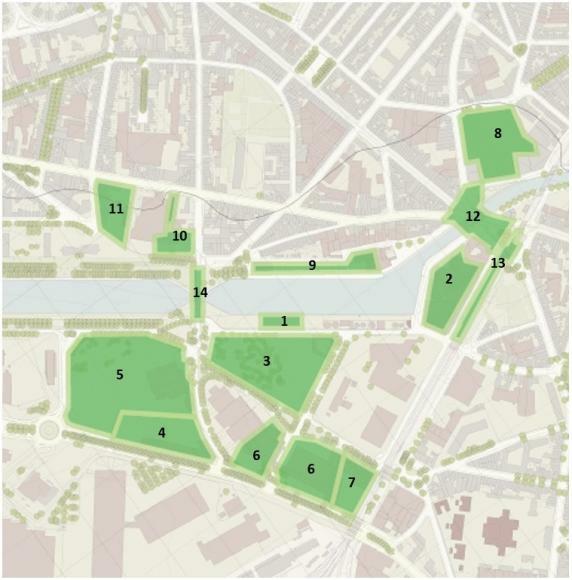 The projects included on the map above are receiving guidance from the entire Canal team in close collaboration with the Municipality of Anderlecht. Ultimately, around 400,000 m² of housing, 150,000 m² of business premises and 25,000 m² of public facilities (including schools). organising functional diversity, including by ensuring compliance with the Business Zone in an Urban Setting (ZEMU) requirements of the Regional Land Use Plan (PRAS), which stipulate the coexistence of businesses and housing subject to certain rules. 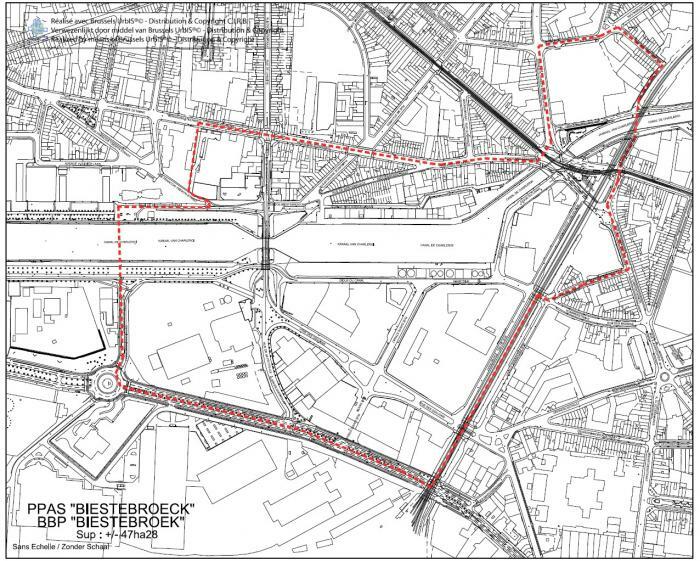 This planning designation covers all the urban blocks on the right bank. redeveloping the port activity around the dock, including the creation and operation of an Urban Transhipment Centre (CTU) by the Port of Brussels and the intensification of the activity of the building materials company Gobert on the left bank. organising the transition between the urban fabric (the ‘existing city’), including central Anderlecht, and the industrial and port areas. investing heavily in public spaces, including the renovation of the Pont Marchant.